1. This isn’t a mountain town. 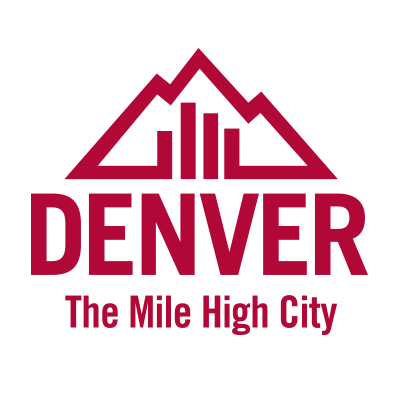 Yes, The Mile High City is a gateway to the Front Range of the Rocky Mountains, and there are incredible views of snow-capped peaks from all corners of the city. But it’s a misconception to think of Denver as a “mountain town.” Rather, the nearby Rockies are simply a stunning backdrop for urban adventure and cultural exploration. While the vast scale of the Rocky Mountains and the Great Plains are humbling even to a city the size of Denver, we still have all the excitement of a major metropolis. 2. It’s both immense and intimate. Despite being a major American city, Denver feels more like a friendly, small town. Getting around is easy — the downtown is super walkable and linked to Denver International Airport by a new rail system. And you can easily hop a pedicab to get from A to B, or pick up a bike from one of the 88 B-cycle stations across the city. The dozens of Denver neighborhoods each have their own distinctive character, from elegant Victorian-style buildings in Larimer Square to the live music pulsing through venues in LoDo (Lower Downtown). And you’re never far from a local coffee house or brewpub. It’s not just your imagination. The combination of high altitude, relatively little water vapor in the air, and ample sunshine makes for incredibly blue skies over Denver. 4. …which makes it a sweet spot for enjoying the sun. Even when it’s cold and snowy in the mountains, the sun is usually shining over Denver. Chilling on a sun-drenched patio after an action-packed day is practically an official pastime here. Many bars and restaurants — like the awesome Ratio Beerworks — offer outdoor seating, perfect for enjoying a local microbrew and soaking up some sun. 5. The city might not exist if not for whiskey. Denver City was founded in 1858 on land that had already been claimed by the St. Charles Town company. Proponents of Denver City persuaded a St. Charles Town representative to relinquish the title to the land by giving him a barrel of whiskey (and possibly threatening to hang him, but we think the whiskey was probably the real deciding factor). Today, the craft cocktail and mixology scene in Denver is booming, but you’d be hard pressed to trade even the tastiest cocktail for title to the city. 6. John Elway walks on water. Now-retired Broncos quarterback Peyton Manning is pretty well liked around town. But it’s another Super Bowl champion quarterback, John Elway, who’s considered by many to be the greatest hero in Colorado sports history — he led the Broncos to their first ever Super Bowl win back in 1998 and again in 1999! Elway still works for the Broncos, and is credited by many for building the most recent championship team. Did I write something earlier about water vapor being the reason the sky is blue over Denver? My personal theory is the sky is actually so blue because blue is John Elway’s favorite color. He’s worshipped in this city — we’ll do anything for him. Denver is a Western city, but that doesn’t mean it’s all cowboys and no culture. The Denver Art Museum has massive permanent collections of artwork — from Monet’s Water Lilies to American Indian art to elaborately carved sculptures from Papua New Guinea. The Oceanic Art collection alone includes over 1,000 works produced by the seafaring cultures of the Pacific. Then there’s the modern and contemporary art collection, the Asian art collection, the Spanish colonial art collection… You could spend days exploring this museum, and it’s just one of several world-class art museums in Denver. For modern art, head to the Museum of Contemporary Art with its rotating exhibitions, or combine art with live music, drinks, and underground DJs at the museum’s Lookout Club Fridays. Anyone with a flair for abstract expression will enjoy the Clyfford Still Museum — 28,500 square feet dedicated to the man some people consider the most important painter of the 20th century. 8. …and some of the best art is out on the streets. Denver’s home to one of the most impressive collections of public art you’ll find anywhere. There are more than 300 installations ranging from subtle stone sculptures in public parks to the beloved Blue Bear — a 40ft bear made of 10,000 pounds of reinforced polymers and concrete that peers through the windows of the downtown Colorado Convention Center. The RiNo (River North Art District) neighborhood just north of Coors Field is another place to check out great street art, with colorful and contemporary murals on concrete walls, brick buildings, and garage doors. Finish your visit with a stop at Beryl’s Beer Co. for barrel-aged beers that look so good they might as well be art. Cherry Creek flows into the South Platte River at Confluence Park, a hot spot for urban kayaking where engineered chutes funnel a steady flow of Class II whitewater through the park. Rent kayaks or inner-tubes at Confluence Kayaks, sign up for a paddling lesson, or just hang out on the riverbank and watch the whitewater action. 10. …and you’ll probably hit your personal best golf drive here. Golf balls fly more easily in the thin Colorado air than they do at sea level, so expect to channel your inner Lexi Thompson or Bubba Watson and drive the ball about 20 yards farther than normal. Green Valley Ranch is a popular golf course, located between downtown Denver and the airport, where you can choose between a full 18-hole course and a fun 9-hole par 3 course — both with those aforementioned snow-peaked Rocky Mountains as a backdrop. 11. A ticket for a Major League Baseball game can cost less than a beer. Can you imagine walking into Fenway Park or Yankee Stadium for $4? No — because that’s ridiculous. But that’s about how much it can cost to take in a Colorado Rockies game from a section of center field bleachers known as the Rockpile. Rockpile tickets for seniors and kids are a buck — it has to be one of the best deals in all of baseball. The rooftop tickets start at $14; experience the two-story Rooftop deck — full of indoor bars, drink stands, and views of the game (and you get a $6 concession credit with the ticket). 12. You can hike in the footsteps of a stegosaurus. Dinosaur Ridge is an outdoor museum in Morrison, just west of Denver. Kids love searching for dinosaur tracks while trekking the Dinosaur Ridge Trail, a 1.5-mile hike over sandstone hills that passes through a quarry of dinosaur bones. The very first stegosaurus fossil was discovered nearby in the late 19th century, a remnant of the giants that lived here 150 million years ago. 13. The food scene is thriving. 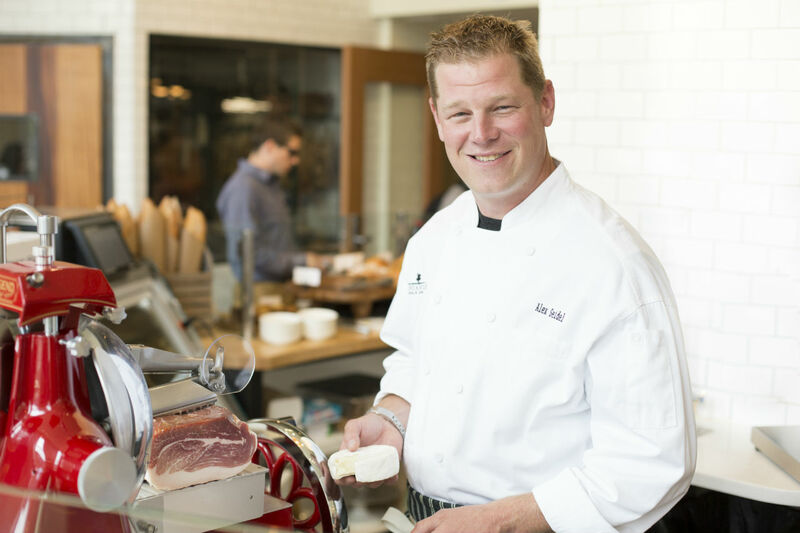 Organizations like Grow Local Colorado and Slow Food Denver have helped make Denver a phenomenal destination for farm-to-table cuisine. You can still get a great steak in Denver (or Rocky Mountain oysters, if that’s your bag), but you can’t go wrong with a meal at Mercantile dining & provision, where chef Alex Seidel creates sophisticated menus featuring ingredients curated from his own farm, like lamb cardamom sausage with beluga lentils and ricotta. Root Down and The Squeaky Bean are also excellent choices for imaginative locavore meals. Check out the raw food night the first Tuesday of every month at Root Down, or head for “Brunch and Bingo” on weekends at The Squeaky Bean, hosted by local comedians and served with a mimosa (or two). 14. The Denver Flea is a festival of awesomeness. This is a city of makers, and four times a year hundreds of trendsetting craftspeople and artisans set up shop at the Denver Flea. With everything from seaweed soap, to silk-screen t-shirts, to habañero hot sauce, to jewelry made from natural odds and ends, this market is a reason to visit Denver all by itself. @denver_flea on Instagram will keep you inspired between markets, though the next event isn’t far off. Look out for the next Denver Flea in City Park, August 13-14. 15. 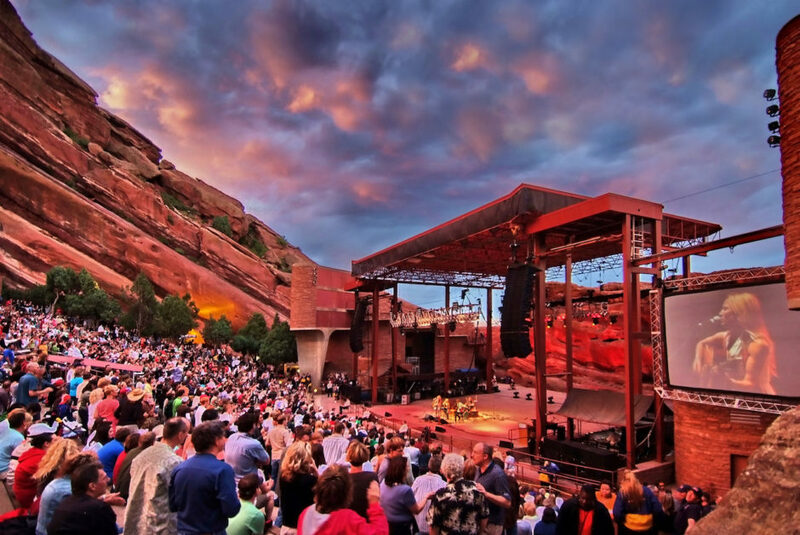 Rolling Stone says Red Rocks is the best outdoor venue in America. Red Rocks Amphitheatre might just be the most magical live music venue on the planet. Holding nearly 10,000 people, it’s naturally framed by massive fins of red sandstone that help create an incredible visual and acoustic environment. Every spot at Red Rocks has a clear view of the stage, so sound travels directly to the listener through clean, low-humidity mountain air. A Red Rocks concert is pretty much a transcendent experience that might just ruin indoor concerts for you for the rest of your life. 16. You’ll almost certainly visit more than once. After you visit Denver for the first time, be prepared to return. This is the most centrally located city in the country, and Denver International Airport is one of the 19 busiest airports in the world, with 20 airlines providing nonstop service to over 170 destinations worldwide. No wonder many travelers hit Denver not once, not twice, but dozens of times.